How to change renewal date or a subscription plan for a customer? Here at Subbly, we always give our best to make life easier for our merchants. As of now, we gave you, a merchant, a discretion to manually change renewal dates or subscription plans you're customers are currently on, without them needing to resubscribe or do anything on their end. Now you can manually change renewal dates for your customers directly from your Subbly admin. 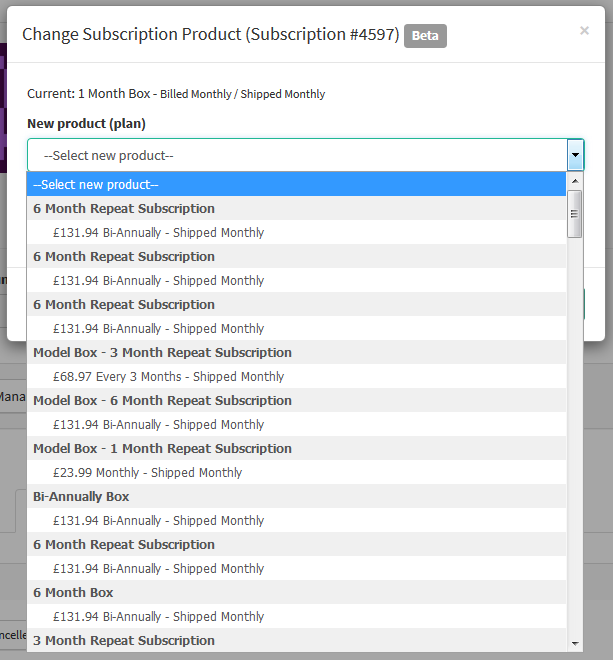 This gives you the flexibility to set subscription periods and rebilling dates for your customers nice and easy. Use case: Let's say that you have a monthly product and that your customers are rebilled on the same exact day each month (ad-hoc billing option on Subbly product creation page). By manually changing their renewal dates, you can create a custom setup so all your customers are rebilled on the same day each month (13th of the month for example), no matter when they initially signed up. 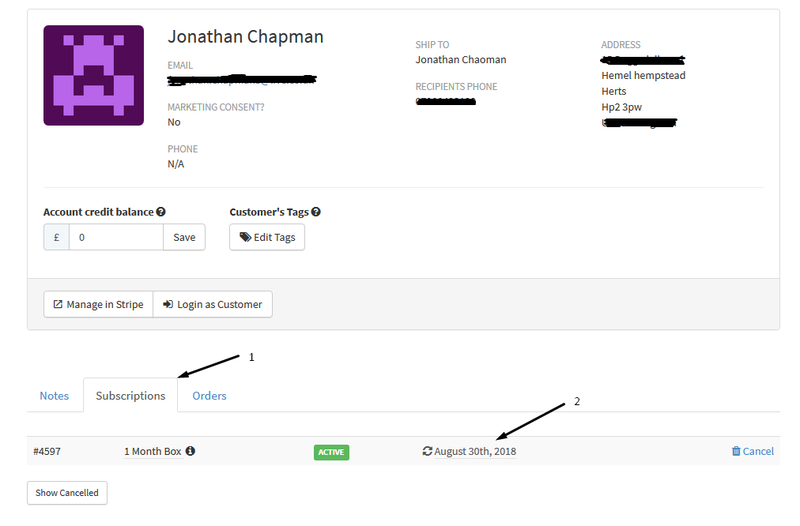 In order to manually change a renewal date for your customer, simply go to Customers subscriptions section on your admin, choose customer you want to change renewal date for, click on Subscriptions tab as in the picture below and click on the renewal date. You can choose from the calendar that's about to pop-up the next rebilling date for this particular customer. Please note that after the rebilling date has been changed, a subscription will retain the new date. For example, if you changed the rebilling date to be 9th of the month and it's a monthly subscription, then this particular customer will be rebilled on every 9th of the month thereafter. Now you can even change a subscription plan you're customers are on without them having to unsubscribe from one and resubscribe to the other product. For example, you can switch customer who's on a monthly plan to the same product that's on the quarterly plan. 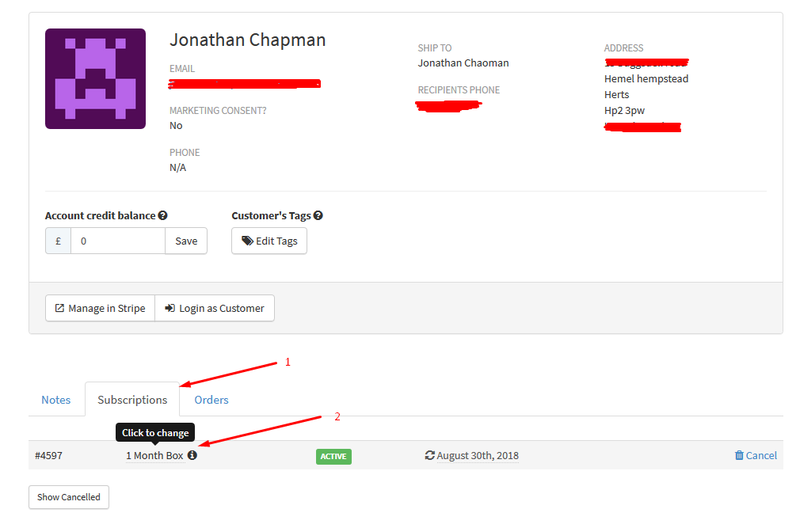 In order to do that, you will need to go to your Customers tab on your admin, enter specific customer's profile, go to Subscriptions tab and click on currently active plan as in the picture. After that, you will be taken to the pop-up window where you can choose the new plan for your customer. IMPORTANT: You will only be able to switch customers to the plans that already have subscribers to it. With that being said, if you just created a subscription plan and it has 0 subscribers to it - you won't be able to switch existing customers to it until someone subscribes to it. How to setup seasonal billing for your quarterly products? 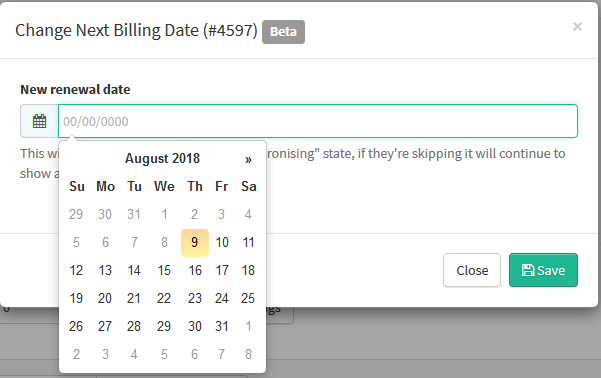 How do re-billing and cut-off dates work?